CAPTAIN GRAY LEAVER, M.B.E., of Filey House, 176, Preston New-road, Southport, whose death on Sunday, at the age of 67, was reported in Wednesday's Burnley Express, and whose funeral took place that day at Lytham Parish Church, was for many years prominently identified with the social political and business life of Burnley and district. Born at Brierfield, he was the son of Mr. Peter Leaver (a teacher at St. Luke's National School, Brierfield, and, afterwards, for 34 years at St. James's Mixed School, Burnley) and of Mrs. Elizabeth Leaver. In 1898 he joined the staff of the Lancashire and Yorkshire Railway at Nelson as a clerk and two years later he joined the staff of Thomas Horsfall, St. James's Row, Burnley, where in 1902 he was appointed manager. In the early part of the century Captain Leaver began actively in the political field. In 1906 he founded the Burnley Junior Unionist Association and was appointed hon. Secretary, and he became a member of the executive committee of the Burnley Conservative Association. He was appointed assistant Conservative agent to the late Mr. George Rogerson in 1910, in which year he was Conservative candidate in Healey Ward for the Board of Guardians, and also founded the Lancashire and Cheshire Federation of Junior Unionists, of which he was joint hon. Secretary and assistant treasurer for 16 years. In 1912, Capt. Leaver was appointed Conservative agent in succession to Mr. Rogerson. He founded, in 1914, the Burnley Children's Unionist Guild, acting as its secretary. He enlisted for service in June, 1916, and was commissioned with the rank of lieutenant in the Territorial Force Reserve, being promoted to the rank of captain the following year and appointed sub-area commander No. 3 District at Burnley Barracks. 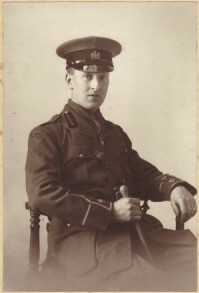 Seconded to the Ministry of National Service in 1918, he became Area Recorder, Blackburn Division. Then he was transferred to Assistant Controller of Statistics and subsequently to Deputy Controller of Statistics, North-west Region, Liverpool. Afterwards he was promoted to Assistant Director of National Service. It was 1919 that he received the M.B.E. (Military). The same year he was re-appointed Conservative agent, and, on demobilisation, he became vice-chairman of the Comrades of the Great War. Capt. Leaver was election agent for Stockport and Nelson by-elections in 1920 and for the Hon. H. G. H. Mulholland. In 1921, he resigned his position as Conservative agent and was appointed statistical sales manager to the Gossage group of Messers. Lever Bros. He was appointed general sales manager to Parkinsons, Ltd. manufacturing chemists, Burnley, in 1924, holding the position for over 12 years. In 1936, he became general sales and advertisement manager to William Edge and Sons, Ltd., and Roberts Crompton, Ltd. Bolton. He was appointed in 1941 as senior Assistant Divisional Food Officer. Ministry of Food Liverpool, and was later promoted to Divisional Food Offices, having six years service. In 1947 he became general sales manager to Fryer and Co. (Nelson). Ltd.
Capt. Leaver had many other interests to which he gave valuable service. A fellow of the Royal Horticultural Society, he was vice-chairman of the Burnley Horticultural Society in 1932. He was a member for some years of the Church of England Men's Society. Capt. Leaver married in 1909 Edith Elizabeth Stanley, who died in 1948. There were three sons, of the marriage – Noel Stanley Leaver, who was killed in action in June, 1943, and Peter Gray Leaver, and John Gray Leaver. A brother, Mr. Noel H. Leaver, the famous Burnley artist, died 12 months ago.